Yay, you have new fun pens to play with! Congratulations, and welcome to the pen hoarding club. But with great pen ownership comes great paper responsibility, as paper choice is just as important as selecting your fab pens. When you’re first starting to use your new pens, it can be tempting to use regular printer paper to practice. This is going to result in a shorter life span for your pens that you are so excited to start using. 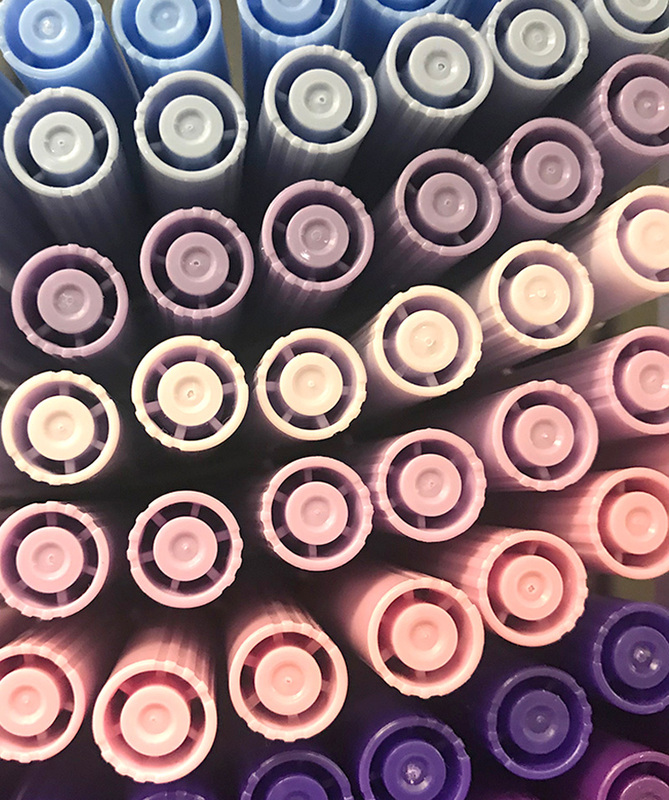 Fortunately, we’re (very) into paper and are here to share some tips on what will help your pens stay in good condition and last longer. Let’s start by breaking down paper. 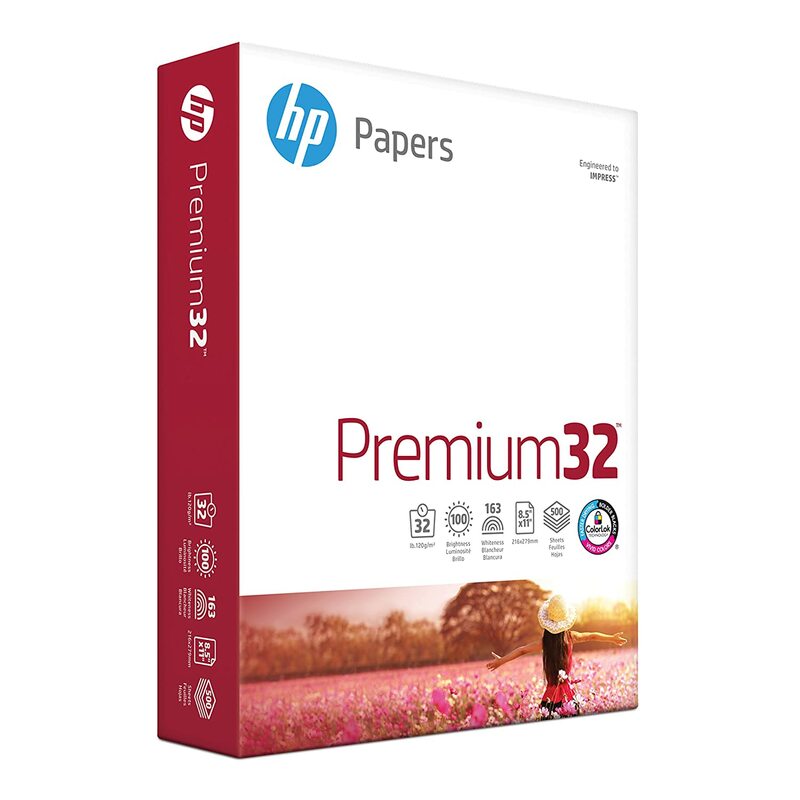 Sheets of paper are made from pressed paper fibers that have been blended together. When these fibers are long or coarse, the paper has more “tooth”, which is the amount of roughness the paper has. Smooth paper has shorter fibers, resulting in a gentler surface for your pens. Although the tooth might not be noticeable to your touch, pens will definitely feel the difference! 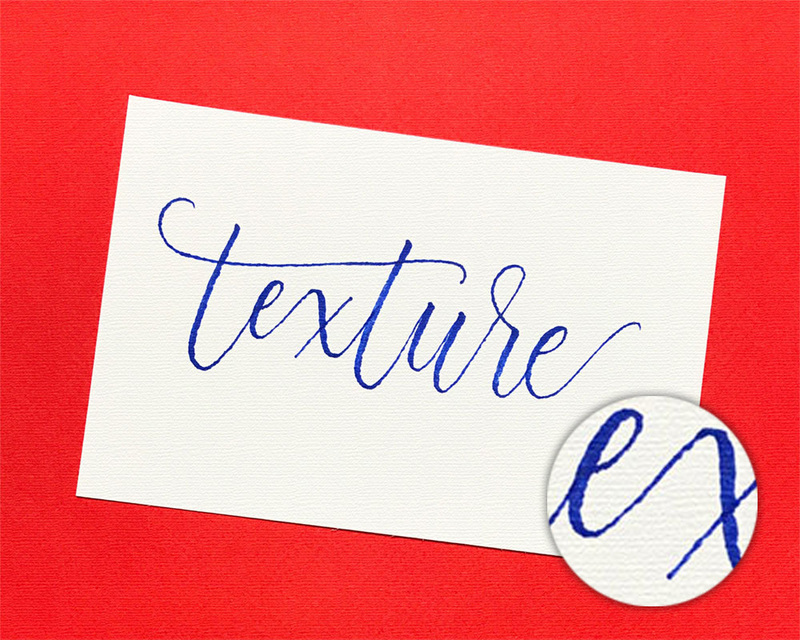 The images below show how brush pens react to smooth versus textured paper. You can see on the textured paper that the ink is uneven and rough around the edges – and writing on it tears up the felt pen tip! As a pen owner, you should think of paper like a carpenter thinks about wood. Different woods are better suited for different purposes, just as certain papers are better for certain uses. So what are the different types of paper? Generally speaking, there are two basic categories of paper finishes: smooth or textured. Although wove, bond, and vellum are all considered smooth finishes, we recommend sticking to the actual smooth finish for best results. This will prevent your pens from fraying quickly, because no one likes a frayed tip! Stay away from the textured finishes such as laid, felt, or linen for your pens. When choosing your paper for lettering, think about what the purpose will be. Are you practicing or are you looking to letter a project for a gift or framing? Luckily there are great options for both that are easily available on Amazon, Michaels, or other craft supply stores. 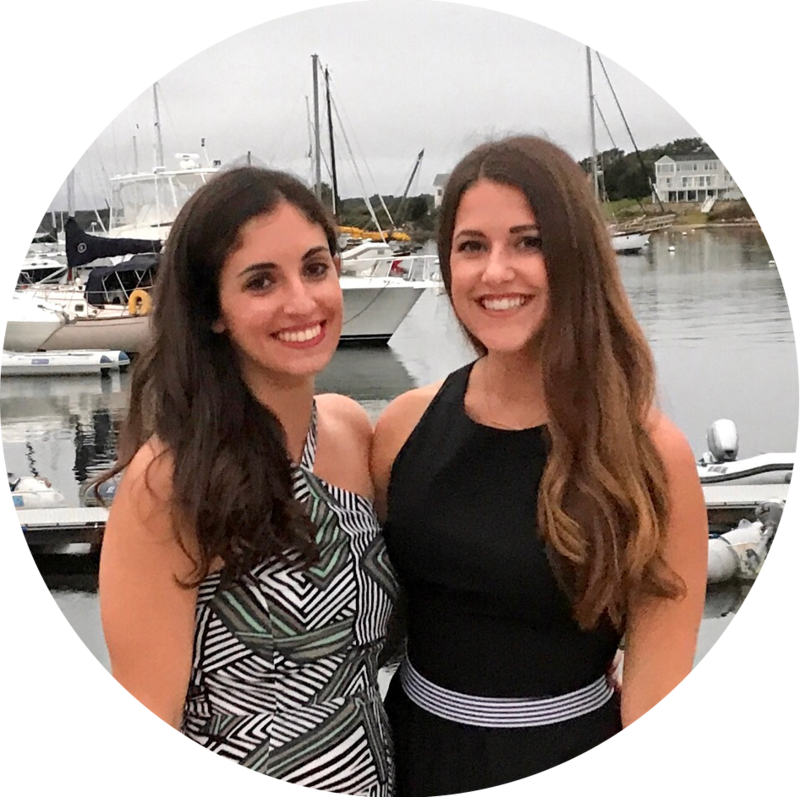 Here are our favorite practice papers to use. 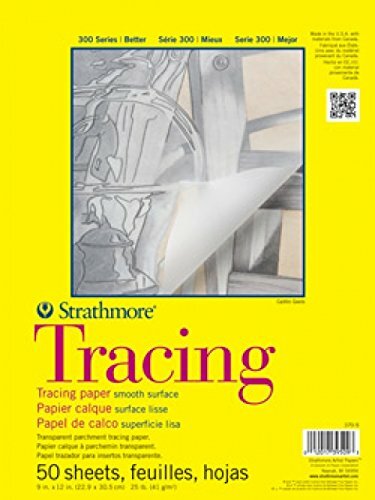 Strathmore Tracing Paper is great because you can easily copy over example letters to get a feel for how to form the strokes. You can also place guidelines or a pencil sketch underneath to then trace over with a brush pen. 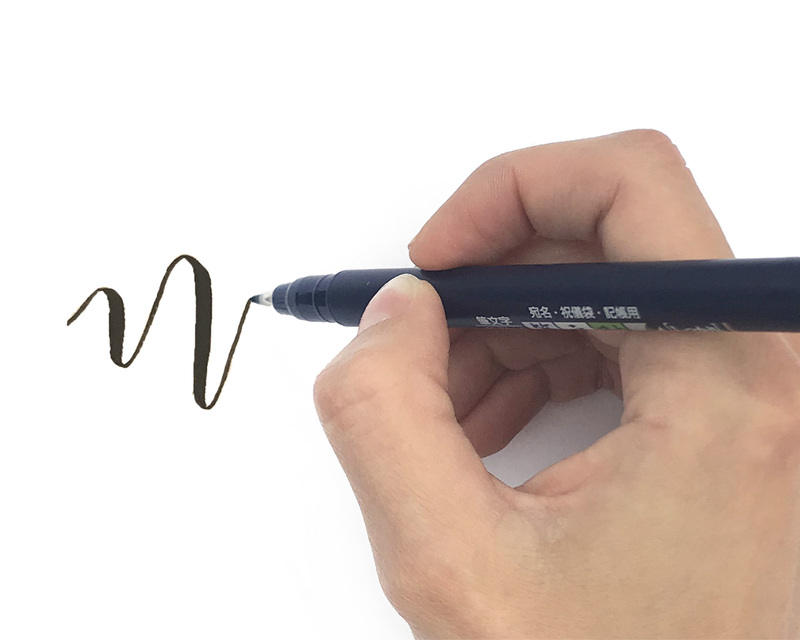 HP Premium Paper is perfect to have on hand for practicing your lettering. It is affordable and super smooth. 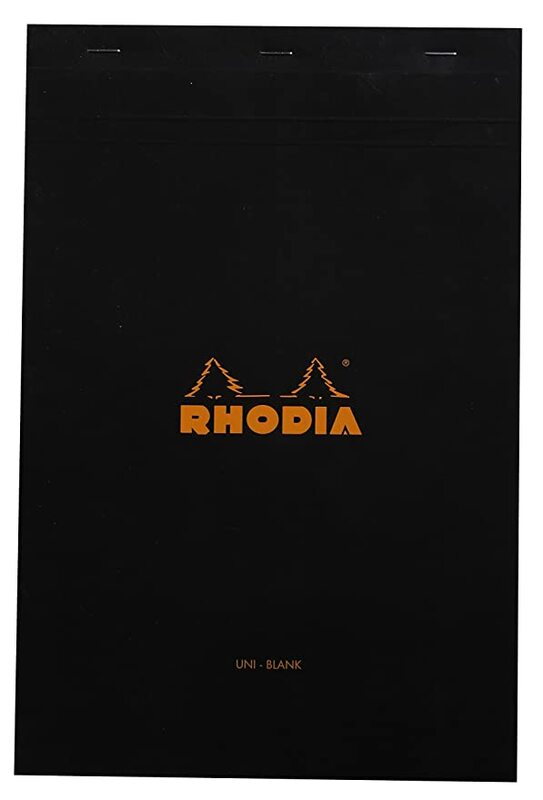 Rhodia Notepads come in various sizes and with different types of sheets. You can opt for blank, lined, dotted or graph paper. 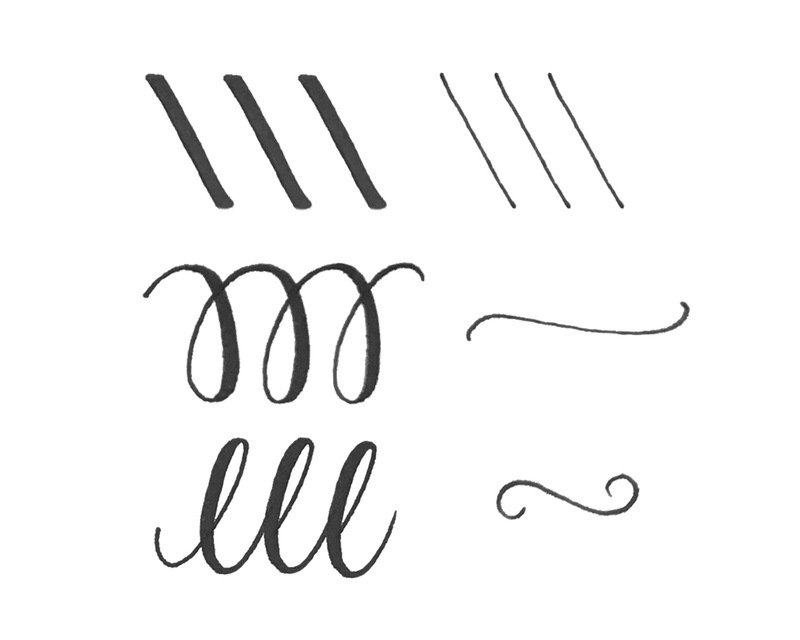 The guides are helpful for keeping your lettering a uniform size as well as keeping your lines straight. 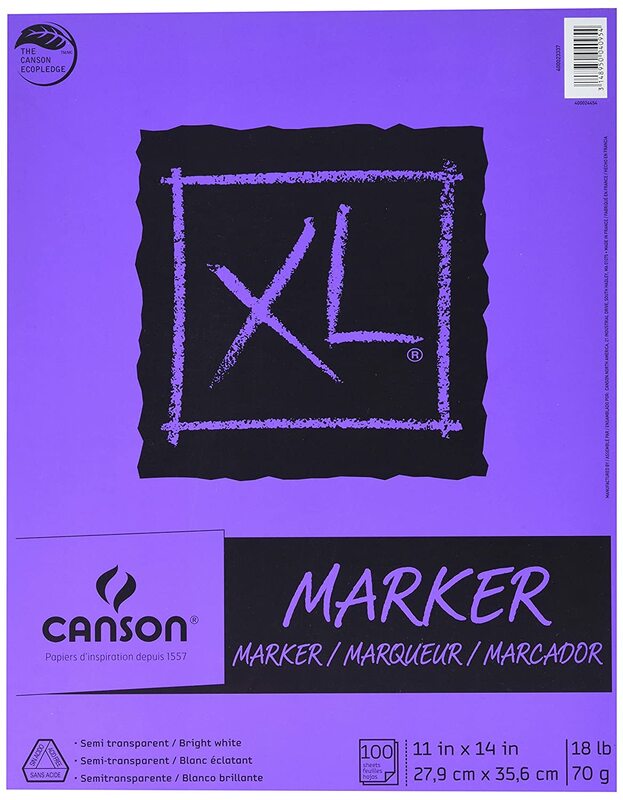 The Canson Marker Paper works well if you’re looking to practice on a bound pad. The paper is great for any brush pens. It is semi transparent, so you can also put some guidelines underneath. The sheets are thin but ink does not bleed through. When you are creating a lettering project that you’ll want to keep, use acid-free, archival paper as it won’t yellow over time. After spending time perfecting your masterpiece, the last thing you’ll want is for your paper to start curling or fading! Below are a few recommendations for quality project paper. 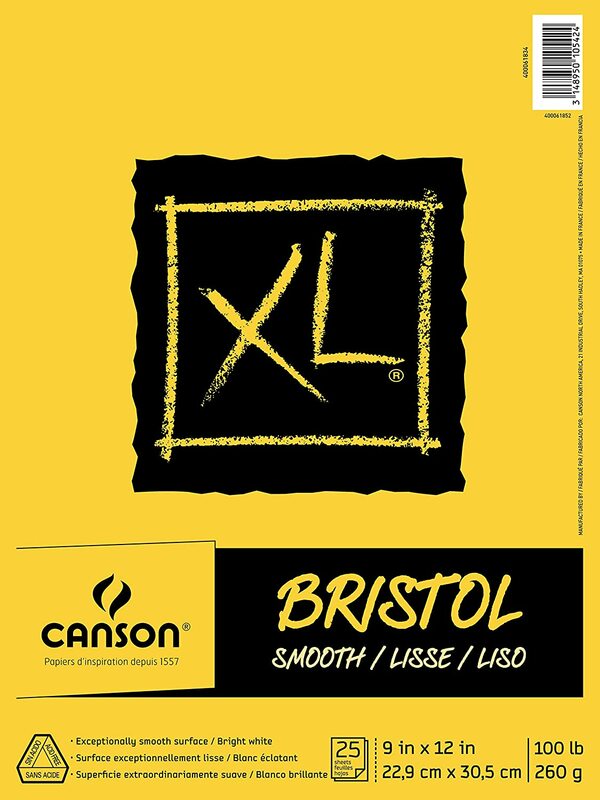 Canson Bristol Paper is great for finished pieces because it is heavy weight and has a smooth finish. It also comes in 11x14 if you’re looking for larger paper. 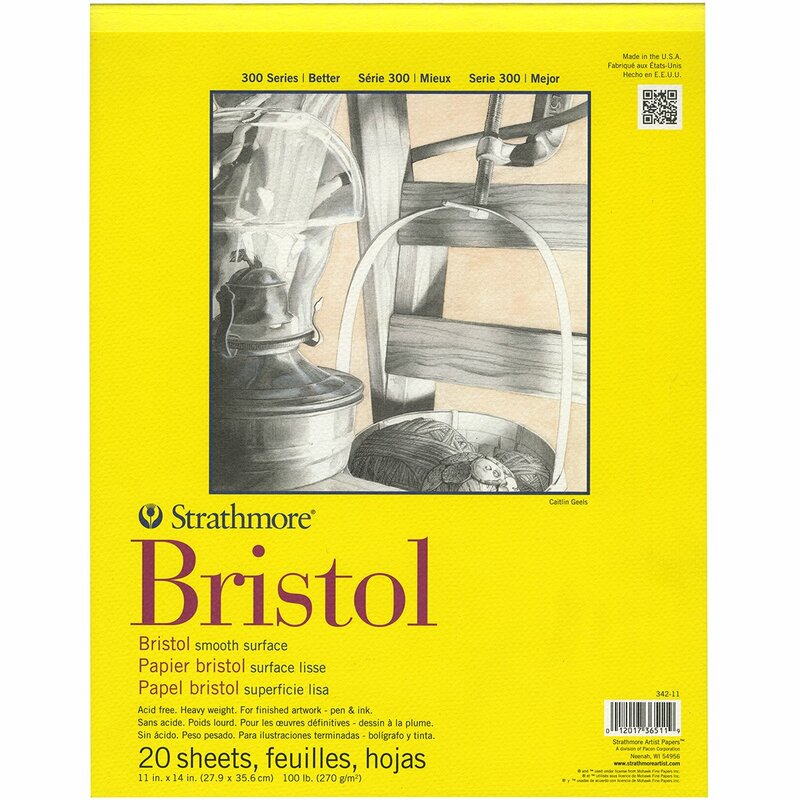 Similar to the Canon Bristol, we also recommend using the Strathmore Bristol Smooth Paper for a heavy weight smooth paper that won’t hurt your brush pens. 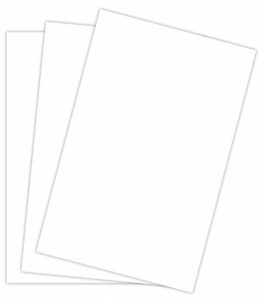 If you’re looking for smooth card stock for a final piece that won’t fade over time, this White Heavy Weight Stock Paper is perfect! You can trim down to your desired size, or even fold to create greeting cards. 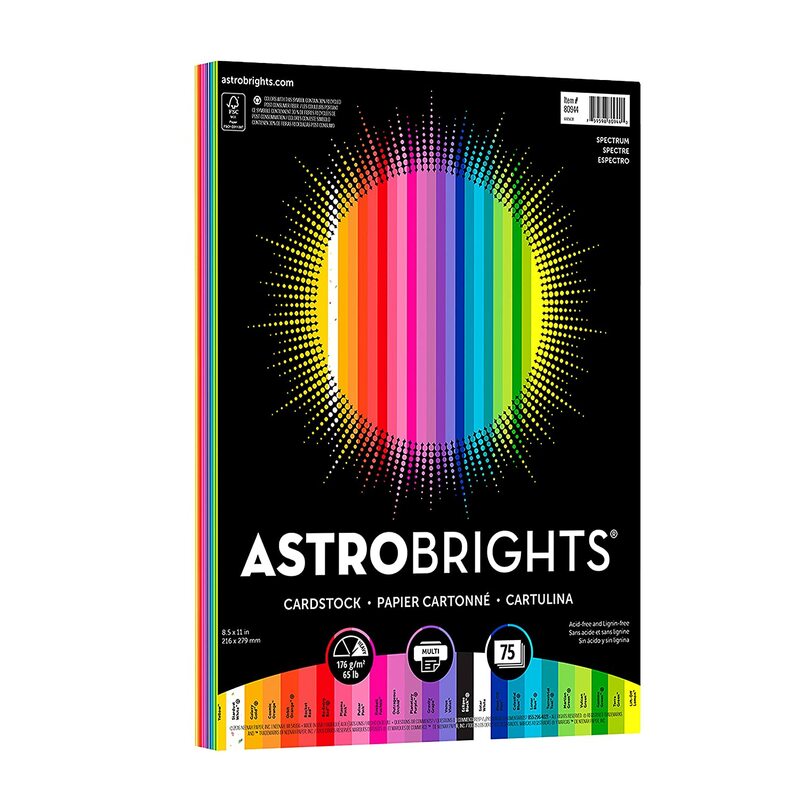 Astrobrights Colored Card Stock variety pack is great if you’re looking for fun color options. It is acid-free quality paper so works well for finished projects. Of course, it isn’t always possible to carry around a large pad of paper to practice your lettering. We usually carry pens and a few notebooks in our bags so we can easily letter on the go – you never know when you’ll be inspired! 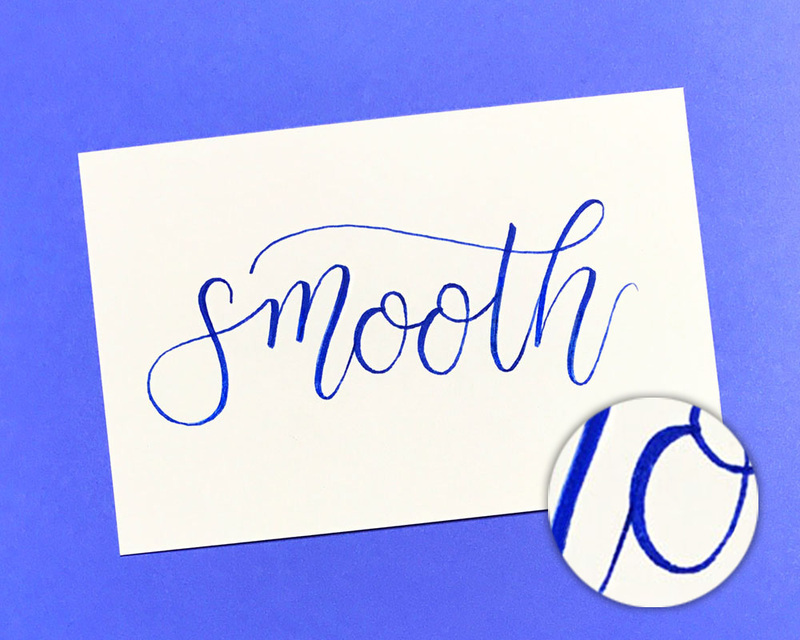 🙂 Although some of these aren’t extra smooth paper, you can still use them with your brush pens, we just don’t recommend them for repeated, long-term practicing. We’ve noted which ones are smooth! The Leuchtturm1917 Hardcover Notebook is one of our favorite notebooks. With a dot grid and silky smooth pages that are great for your brush pens, we love this for sketching and practice. And it comes in a variety of colors! We also love the Compendium Motto Journals for lettering on the go. They are pocket-sized notebooks with dot grid smooth paper pages and come in fun colors and quote options. There are a variety of notebooks available at Muji, including both glue and ring bound in many sizes with blank, lined, dotted, or grid sheets. Since glue bound notebooks don’t always lay flat, the ring bound are especially useful for taking pictures of your lettering. Not all of these are smooth paper, but are great to have as options! 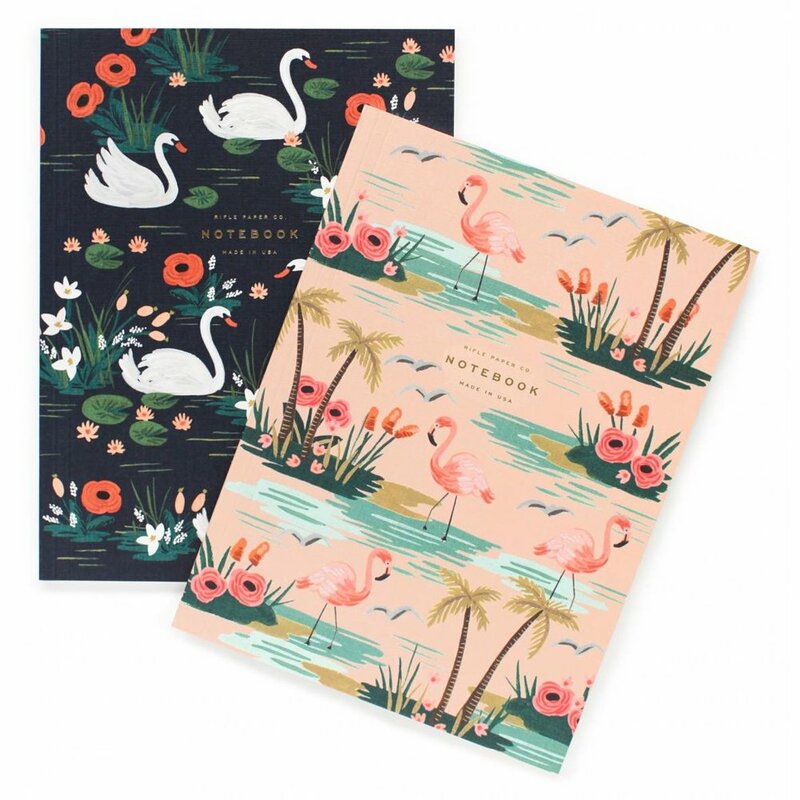 Of course, we love the gorgeous Rifle Paper Co. pocket sized notebooks. These have blank sheets and are always fun to carry around for inspirational lettering while you’re out and about. 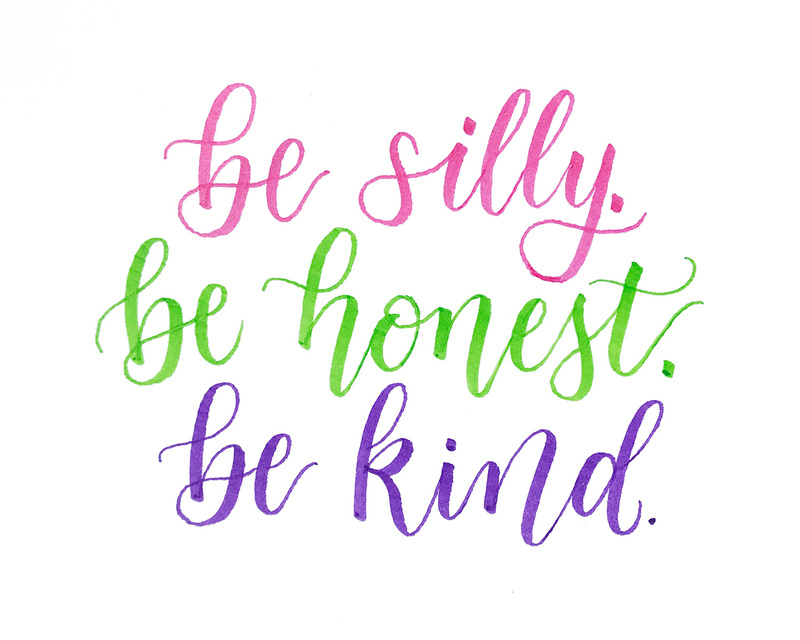 We can talk about pens and paper all day, but the main takeaway here is to not use regular printer paper for brush lettering. Since felt brush pens aren’t refillable, they won’t last forever, but if you take care of them using quality paper they will last longer. 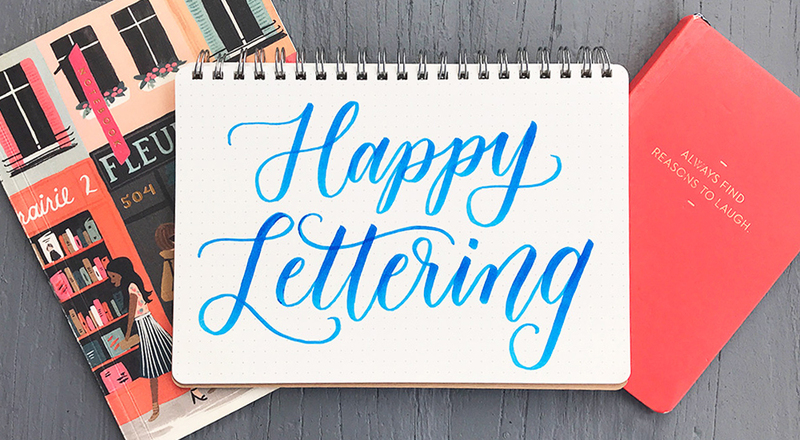 We’d love to hear about your favorite paper and notebooks for brush lettering! 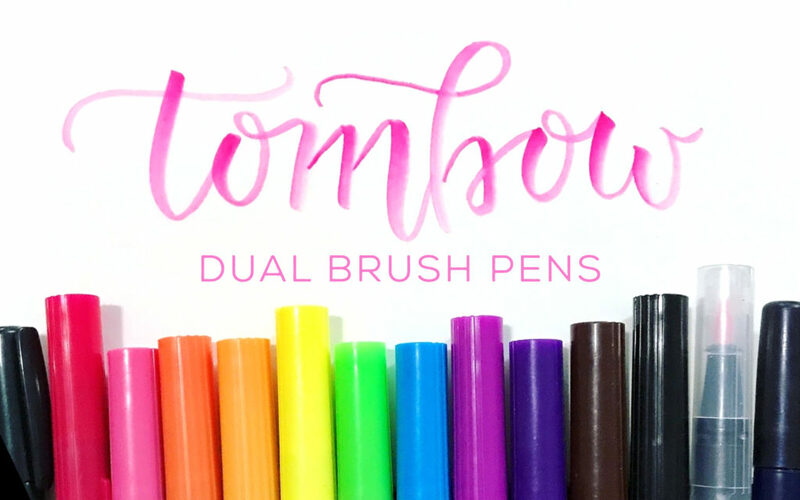 Tombow Dual Brush Pens may be the most well known brush pens on the market. 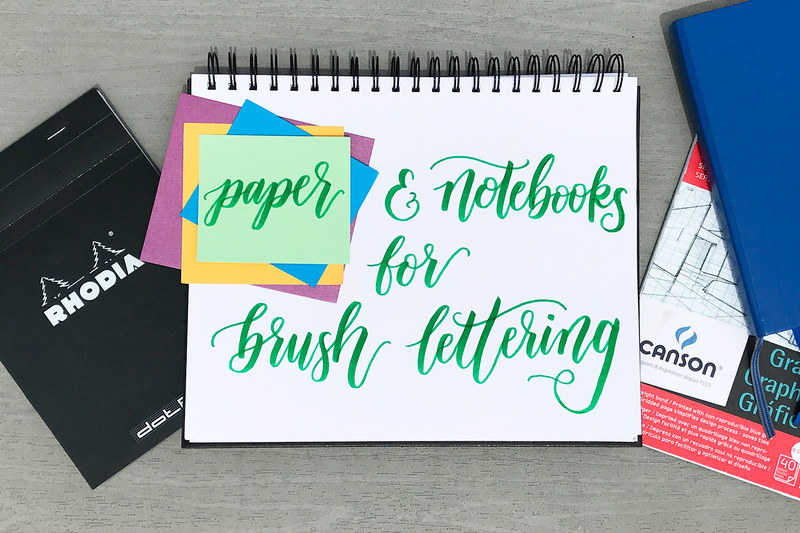 They can be found in nearly any arts and crafts store, and even sometimes in specialty shops that don’t carry other products related to brush lettering or calligraphy. As such, they’re obviously very popular for their availability. We recommend them as a great beginner pen, and always give one to our students at our lettering workshops. But we also still love them as long-time brush letterers! 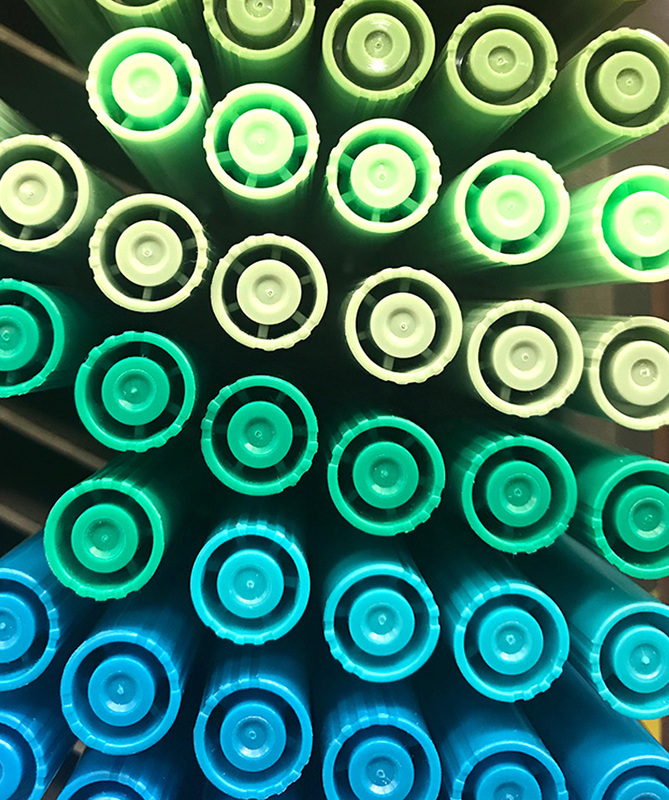 Here’s a little bit about the pens themselves, what we use them for, and why we love them! 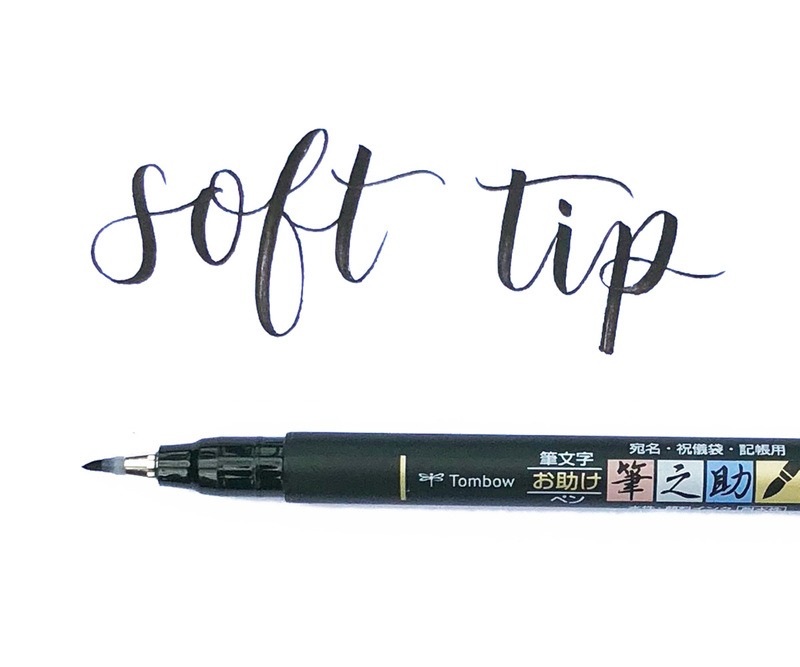 The brushes on the Tombow Dual Brush pens are a medium size, with a fairly flexible tip. 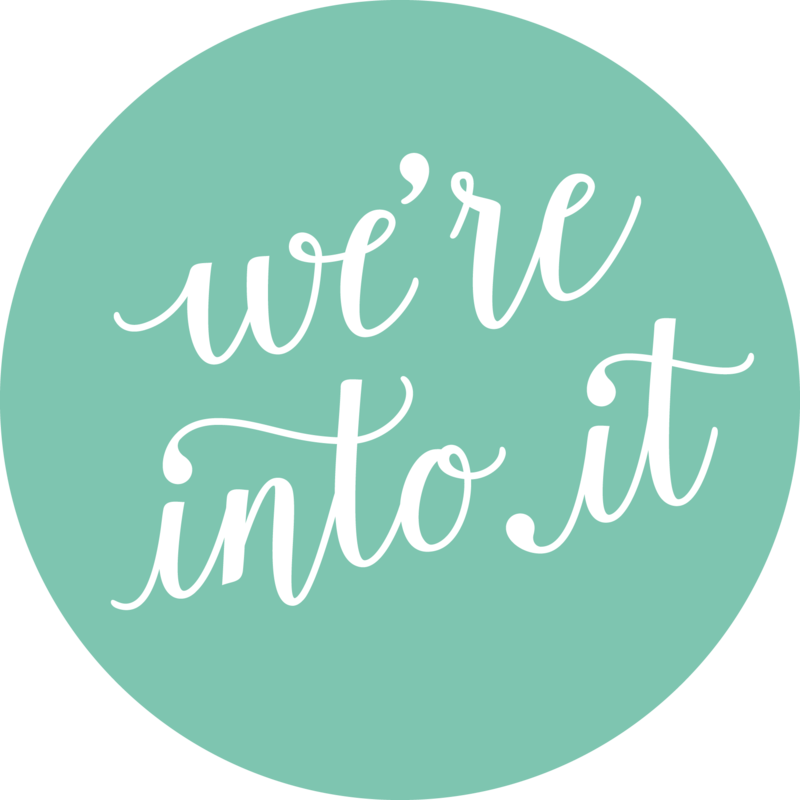 The ink flows smoothly, dries quickly (no smudges on our beautiful lettering pieces please and thank you! ), and doesn’t bleed. They also have a regular fine marker tip on the opposite end, which comes in handy for touch ups and swashes. The shaft is fairly long, which gives your hand a lot of room to pull back and create more expressive and gestural strokes. Thick downstrokes using these pens can get up to about 1/4″ thick. The brush tip really has a good capacity for a thick stroke when you’re pressing in through the side of the tip! Yet thin upstrokes are still easy to achieve by applying less pressure. We like to use these pens for medium scale brush lettering, like short word combinations and quotes. It’s much more difficult to use these pens on a smaller scale, like envelope addressing, so we don’t recommend them for that. These pens come in SO MANY COLORS! 96 to be exact! There’s not another brush pen out there with so many color options. And some of them are straight up drool-worthy. (Yes, pens make us drool). The water-based ink is also ideal for blending. Aka creating varying shades and that ever beautiful ombré effect. In fact, most basic sets of these pens even come with a clear pen, called the blender. But blending can be done in a few different ways. One of our favorites is by using one pen to apply color directly to the tip of a different color brush tip. Applying a color ink to the tip of the clear pen (like pink below), creates an ombré effect where the color slowly gets more translucent. Similarly, you can apply a colored ink to a different color pen to create a transition stroke through different color combinations (the blue ink on the yellow pen below created the varying green to yellow effect). To restore your pens to their original color, simply use the pen until the applied ink color is colored out. The pens will also blend quite easily on top of paper. Start drawing with one color, and then layer over another. The lighter colored brush tips will pick up the darker colors and carry the color through as you continue to write. Another tactic is to write with two different colors touching, but not layered, and use the clear blender pen to combine the two. The blending possibilities are really quite varied. Just be careful – too many layers of ink can start to break apart the paper fibers! We haven’t had an issue with the Dual Brush Pens running out of ink quickly, they have been very long lasting for us. However, we have noticed that the nylon tip can have a tendency to fray. You’ll start to notice on your thins that the stroke may begin to appear less smooth or have a wispy texture. Typically this will happen from writing on rough or toothy paper, but even regular computer paper can be tough on the brush tips. We’d recommend using smooth, coated paper to help keep your pen tips at their best quality (for these as well as all brush pens)! 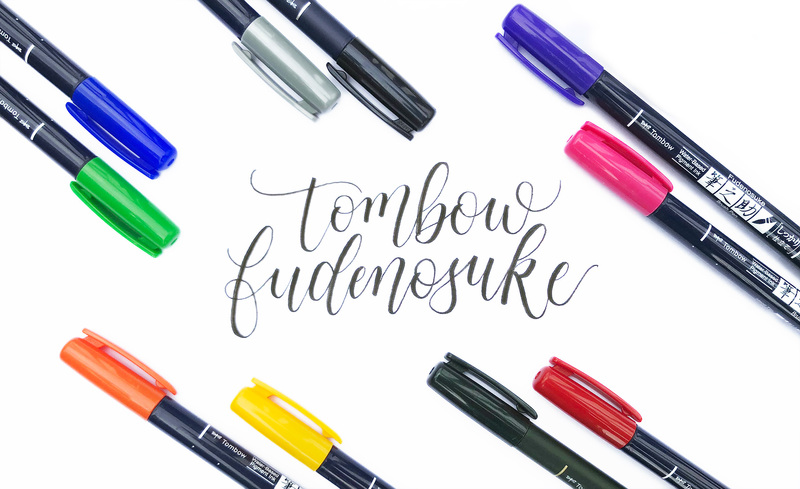 And here are some examples of these bad boy Tombow Dual Brush pens in action. We often carry a few of these pens in our bags for lettering on the go. 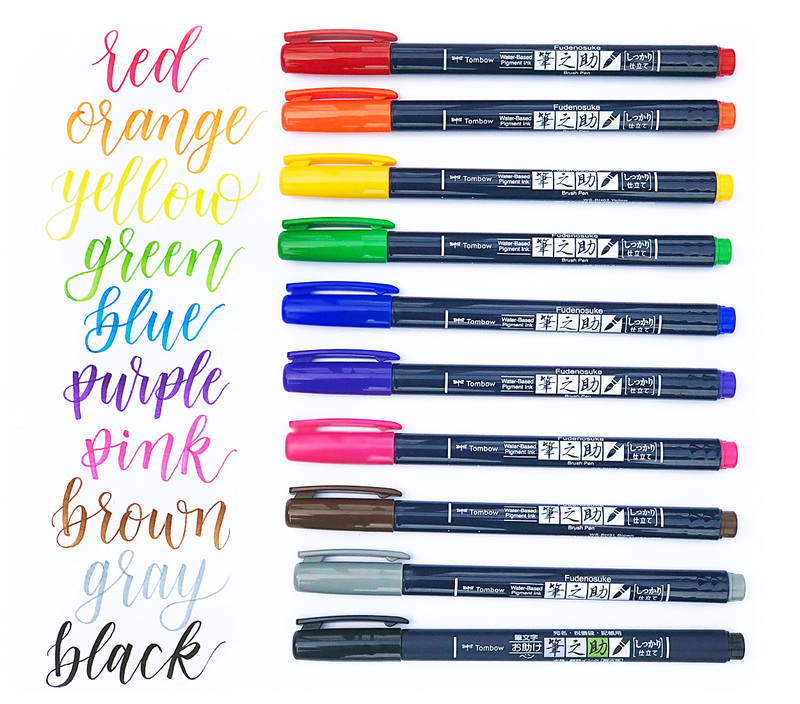 If you’re looking to do medium sized lettering in a variety of colors, then these are the pens for you! Do you love these pens as much as we do!? So you were born left handed. You are one of the lucky 10% of the population! Did you know that you are most likely right-brained, meaning you have a good imagination and are drawn to the arts? 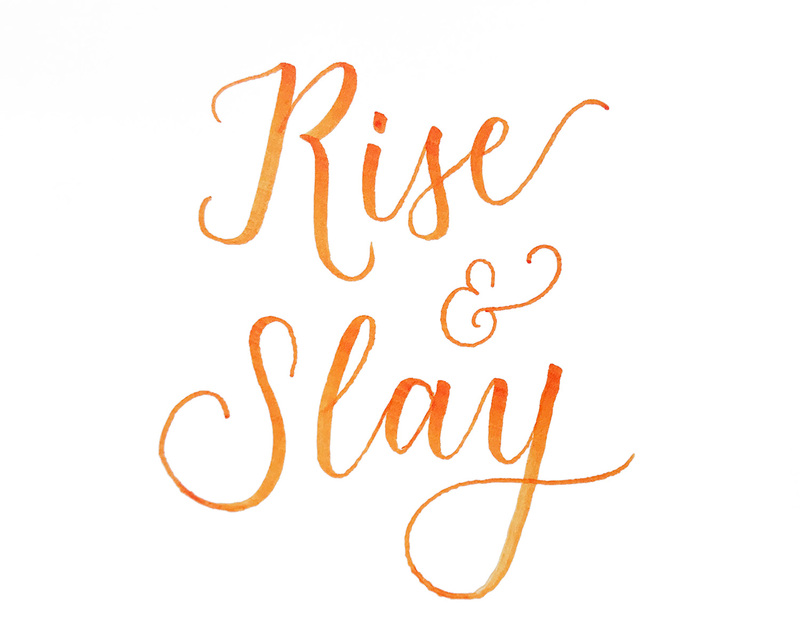 So all this brush lettering you’ve been seeing all over the internet seems right up your alley. You may have even gone so far as to purchase some fun new brush pens. But some people still wonder, can lefties do brush lettering? The answer is yes, of course! Before your blame your left handedness for making brush lettering more difficult, let me reassure you that learning to brush letter is difficult for everybody! 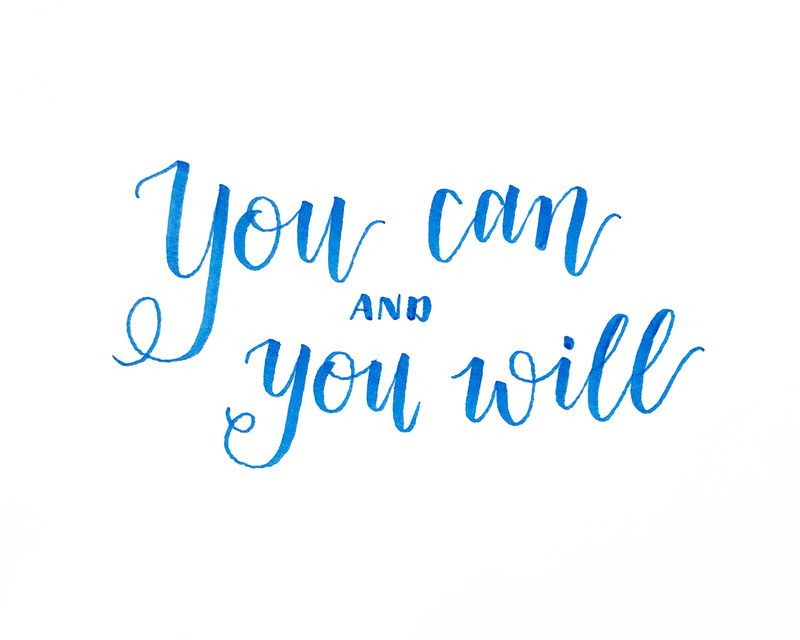 I don’t believe that you are at a true disadvantage by being a leftie – you are absolutely just as capable to master the art of brush lettering, which you’ll see in the examples below. The beauty of brush pens (unlike calligraphy nibs) is that they’re round and can move in any direction. As with everybody who learns to letter, it’s just about figuring out what works for you. And we’re here to offer you a few tips and suggestions! 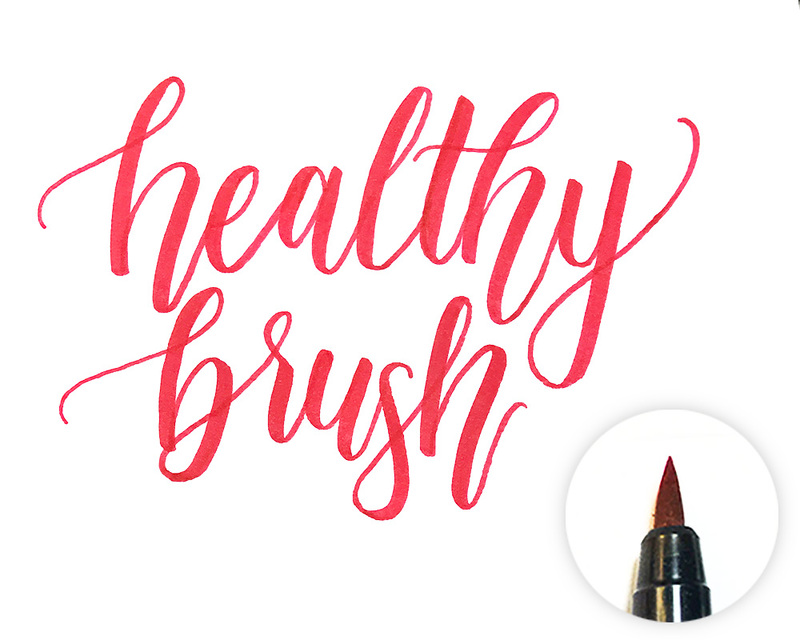 The basic mechanics of brush lettering involve pulling the pen down and pressing into the side of the brush for thick strokes, and pushing the pen up with lesser pressure for thin strokes. Each letter is comprised of thicks and thins, and brush lettering is truly the art of mastering the transition between the two. No matter which hand you write with, this amounts to a ton of practice. Even if you start out unsure and your letters are shaky, keep at it regularly and you will improve. Turn your paper. You’ll notice in the first image above that her paper is turned nearly 90 degrees to the right, while in the next image his paper is straight on. Most likely, your paper will be turned to the right to some degree (while righties will turn their papers to the left). But what works for each person varies, so make sure you experiment with your paper angle! Adjust your hand position. You probably have a natural tendency for how you hold your pen, whether your hand curls over or under the pen, or goes straight across the page. But brush lettering is different than regular handwriting, so try adjusting your hand position and see if that helps. Ease back on your grip. 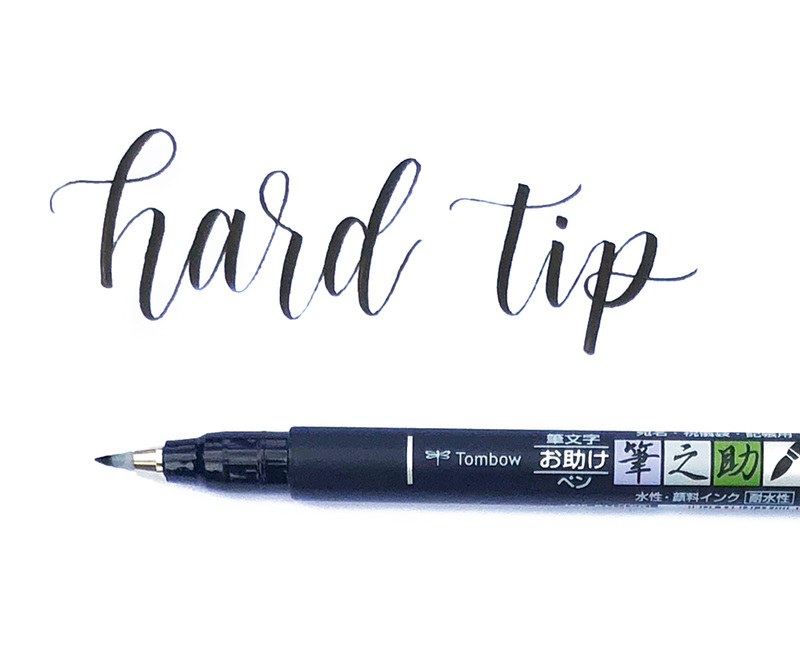 By pulling your hand further back on your pen shaft, you’ll have more room to get into your thick strokes, and you won’t be as tempted to press too hard on your thin strokes. Use scrap paper under your hand. 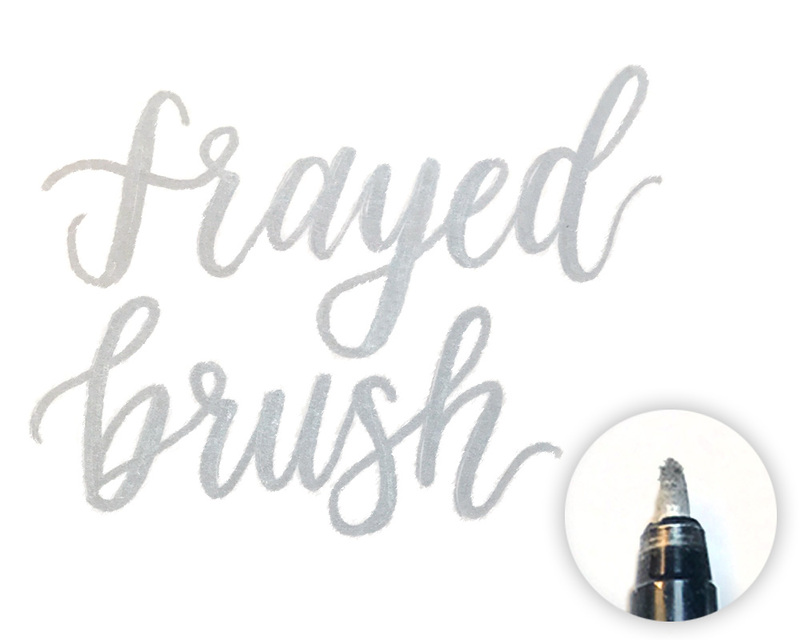 You’ve probably been fighting ink smudges your whole life, but it’s even worse to smudge your beautiful hand lettered creations! Slide scrap paper under your hand and adjust as you write to avoid grazing disasters. As a note: many brush pen inks actually dry pretty quickly (like Tombow Dual Brush Pens), but some of the inkier (or as we say, juicier) pens will cause you more trouble (like these Kuretake Metallic Brush Pens). Again, don’t forget that learning brush lettering is tough for righties too. Repetition, practice, and finding what works best for your personally is key. We hope these tips will help you lefties out there, and we’d love to hear what works for you!